Official Trailer Released for Extravagant Challenge! 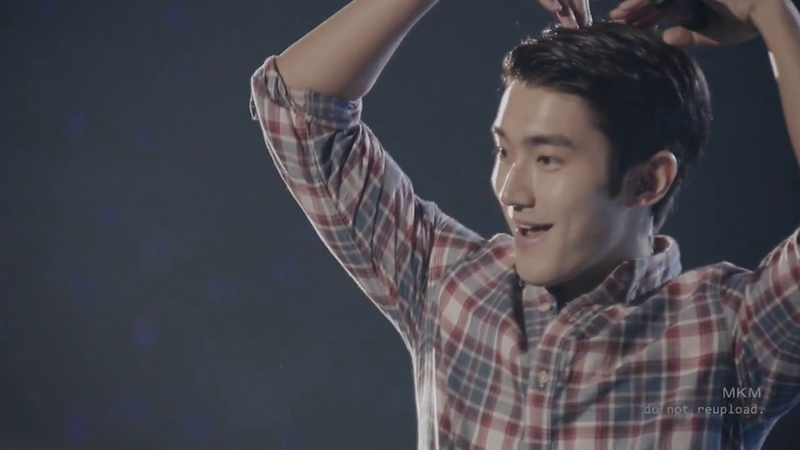 I wish I could embed the video straight into my blog but I don’t have the proper upgrade for that yet, so here’s the link to the official trailer of Choi Si Won’s (My ILU), Lee Dong Hae’s and Ivy Chen’s upcoming Taiwanese drama Extravagant Challenge or Skip Beat, as the mangas are called which the drama will be adapted from. I was beyond excited for this drama to air in the fall because of a myriad of reasons that all had to do with my love for both Si Won and Dong Hae, but now the trailer has catapulted my anticipation to astronomical heights. I won’t gush here about it because I could go on and on about how excited I am, but I’m just going to allow myself to say that I’ll be shipping Dong Hae’s character with Ivy’s all throughout the drama not because I love Si Won, but because of the insane chemistry they display in the trailer alone. I adore Dong Hae but good God he and Ivy are scorching hot together. Filming for Extravagant Challenge began in early April and is scheduled to finish at the end of this month. Nam Sang Mi and Lee Sang Yoon Are Dating! I’m going to translate the article first and then give my thoughts about this new couple because oh, there will be gushing. Hello y’all! I realize it’s been more than a month since my last post and I’m truly sorry about my absence. The first semester of my senior year is winding down and I’ve been so busy trying to survive it that everything’s fallen to the wayside.. even my beloved dramas. The only thing that’s been keeping me going is my love for my ILU which has grown exorbitantly in the past few months and if I didn’t have my Si Won, I honestly would’ve died from exhaustion and stress months ago. With that being said, I’m hoping I’ll be around more during the summer as I take online classes and work full-time because in my spare time, I plan on getting back on track with translating for my beloved WITHS2 and Haru2 groups and keeping up with my blog as well. I love you all for continuing to visit my humble abode despite the lack of updates as of late, and Si Won loves you too. I’ll be back soon! Actors Nam Sang Mi and Daniel Choi participated in a photo shoot today that showcased a preppy look with the clothes designed by Mr. Preppy himself, Tommy Hilfiger. They were able to set a lively and cheerful atmosphere during the shoot, working well to create quality pictures that conveyed the “humor and wit” (which I don’t see at all in the pictures but what do I know?) concept that was intended for the photo shoot. The two celebrities are known for their stylish images and approachable good looks, and those characteristics of theirs carried over in the shoot. They were both praised for their abilities to come up with good poses and facial expressions from the staff members present throughout the shoot. Personally, I adore these two and would love to see them in a drama together instead of just a photo shoot, but I’ll take what I can get. They look gorgeous even though I know they’re posing as a couple, despite the fact that the clothes and concept of the shoot don’t interest me much. The pictures can be found after the jump. First off, I’d like to apologize for being so behind on this 30 Day K-Drama Challenge. When life beckons, it won’t do to disregard its call no matter how much I want to, so I’ve been incredibly busy and my blog has been neglected as a result. Also, the topic for today was really hard for me to come up with an answer for because it’s rare that I come across a female third wheel that I actually like, let alone have a favorite line uttered by them stored away in memory. I racked my brain trying to think of a response when I suddenly remembered how much I loved Hyun Young‘s character Ha Bu Kyeong from one of my favorite dramas of all time, Bad Family. I’ve included screencaps from a bunch of different scenes that I really loved between Bu Kyeong and Kim Myung Min‘s Oh Dal Gun character, but instead of a favorite line of Bu Kyeong’s, I’m going to have to choose the last conversation Dal Gun and Bu Kyeong have before *spoiler* Dal Gun marries Nam Sang Mi‘s character Kim Yang Ah. Dal Gun tells Bu Kyeong how much he appreciated her unwavering support of him despite his gangster tendencies and gruff exterior, and that he truly cares about her as a friend, stating that it’s her loyalty that made him consider making a female friend for the first time ever in his life. After he says this, Bu Kyeong looks at him with tears swimming in her eyes and says, “I don’t know if I should laugh or cry.” Bu Kyeong has to be one of my favorite female second leads of any k-drama because she sincerely cared about Dal Gun for who he was, and if his relationship with Nam Sang Mi‘s Yang Ah didn’t work out, I would’ve been just as content if he ended up with Bu Kyeong because they were adorable together. Hyun Young is known for her comedic timing but she exhibited a warmth behind her flighty character that I really loved, and because of Hyun Young‘s talents, Bu Kyeong turned out to be an utterly lovable third wheel who I wished would find her own happiness in the end. I know I’m gushing about the character more than the exchange I chose for this topic, but there’s just so much to say about Bu Kyeong that I couldn’t help myself. Man.. going through a few of the episodes to get screencaps made me want to rewatch Bad Family. If y’all haven’t seen it, please do. It’s a gem of a drama and condenses what family dramas try to do in 50+ episodes into a much shorter, much more pleasant 16 that zip by and leaves you alternating between crying and laughing along with the makeshift family members. I’m tearing up just thinking about Lee Cheon Hee‘s delivery of this line “The fact that this damned love of mine… is the most shining light kindling my path.” His character Yang Man Oh spent his entire life working towards pulling himself up out of the place that society set for him, earning riches he never would’ve been able to acquire if he hadn’t been inspired by his love for his Assi to redirect his path in life. Some would call his love dogged, the way he continued to look straight ahead despite all odds in pursuit of the woman he loved for all his life, but I thought it was one of the most beautiful displays of love I’d ever seen in my entire life. Lee Cheon Hee was fabulous as Yang Man Oh, and this line sums up how strongly he cared for Kim Ha Eun‘s Lee Na Young perfectly. It’s no coincidence that Conspiracy in the Court is sweeping so many of the categories for this challenge… if y’all haven’t seen it, what the heck are you waiting for? Just know that you’ll be blown away by the awesomesauce of CitC and take my word for it.. you won’t walk away unchanged. Will Jung Yong Hwa Get the Girl This Time Around? Actress Park Shin Hye and CNBlue’s Jung Yong Hwa have been cast in the upcoming Wed-Thurs MBC drama Festival as the leading couple. 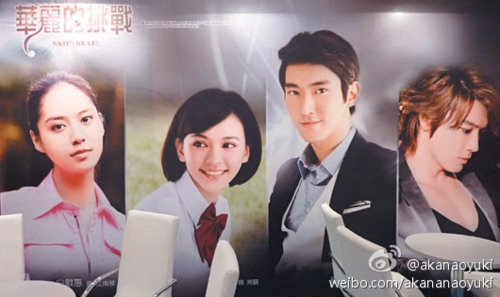 Festival will be set in an arts school in which the main characters work hard to achieve their dreams through their sweat and tears. The drama’s said to be a melo about the days of youth when first loves and new friendships are experienced. Festival‘s garnering interest because it’s the next drama of Pyo Min Soo, who directed both Full House and The World They Live In. Park Shin Hye‘s character is described to be bright and lively, who is a prodigy (*sighs* another genius? Apparently everyone and their mother are geniuses in Korea) in Korean-style classical music and playing the gayageum, which is a 12-stringed Korean harp. 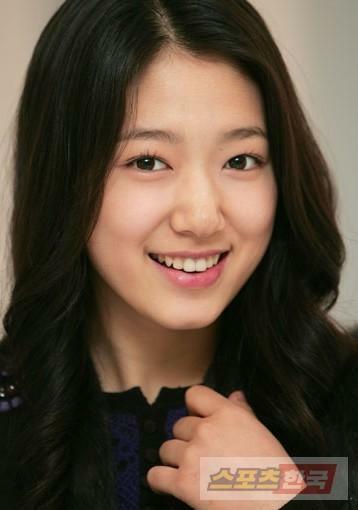 Through this role, Park Shin Hye will be exhibiting a cute and lovable character whose youthfulness radiates through her actions. 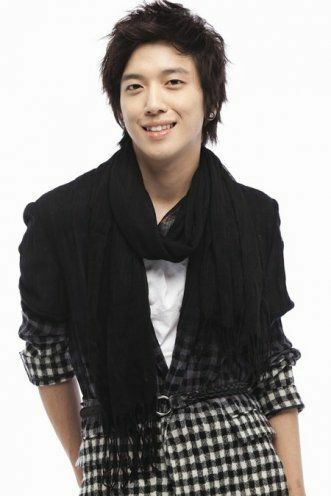 Jung Yong Hwa‘s character is a student who is forced by his circumstances to live in a cultured, urban atmosphere and is a musical genius (of course he is.) who specializes in the guitar. The two of them fall in love through bickering and fighting and are planning to create a fun story as well as romance. Fans have been showing much enthusiasm about this casting news even when it’d been only rumors floating around. Although Jung Yong Hwa‘s character Kang Shin Woo in You’re Beautiful had to endure through an unrequited love for Park Shin Hye‘s Go Mi Nyeo, fans are excited to see whether or not their love story will unfold this time. Festival is slated to air after Royal Family, which sets its first broadcast on the 22nd of June.